Don’t give up! This phrase has become the mantra of motivational speakers, spoken regularly to millions the world over. Many at their wits end have found life in it. If there is anyone who has become a living example of this message, it is none other than the retired General, Muhammad Buhari. 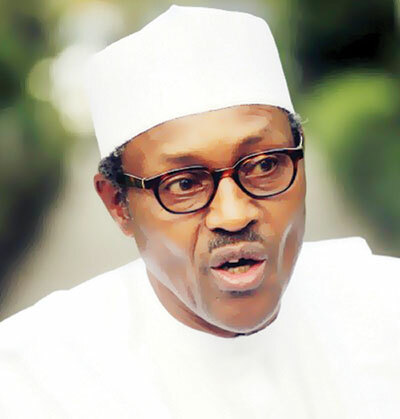 Buhari won the ticket to run as presidential aspirant for the All Nigeria People’s Party. He lost to his ex-military colleague, General Olusegun Obasanjo, polling 32% of votes. Buhari was presidential aspirant on the platform of ANPP. Polling 19% of votes, he lost to PDP’s Umar Musa Yar’Adua. Buhari contested the same number one position as flag bearer for CPC. He lost to PDP’s Goodluck Ebele Jonathan, the incumbent Nigerian president. Again, Buhari is listed as one of the the key aspirants ‎contesting for the All Progressives Congress (APC) presidential ticket. Buhari started contesting for the presidency when he was 61 years old. At 72 years of age, 11 years and 3 tries later, he is still running – for the same position. Our government has done it again! It is tough enough already for Nigerians who travel frequently to different corners of the world… the numerous cases of profiling, stereotyping and undue suspicion that meet any individual carrying that green passport, leave many wondering why they were born in such a country. The age-old stigma of being 419ers’ and intrinsically corrupt humans remains an every moment battle for those in the diaspora. Despite these prevailing circumstances, the Nigerian government has plunged the nation into an embarrassing scandal. On the 5th day of September, 2014, 9.3 million dollars was transported from Nigeria to South Africa in cash via a private jet. Thankfully, the booty was intercepted at a South African airport by Customs officials who were vigilant enough to observe ‘irregularities’ perhaps while scanning the luggage. A total of three bags were intercepted and cash, laid out in 90 packs, worth $100, 000 each, confiscated by the South African Revenue Service (SARS). The three passengers on the aircraft alleged that they transported the cash to procure arms in favor of Nigerian security services. $9.3 million is the equivalent of N1.5 billion, the worth of 40 four bedroom duplexes in Lekki axis. Why was the cash seized? South African laws stipulate a maximum amount of cash allowed to be brought in country by an individual. According to the SARS, “Currency brought into or taken from South Africa is monitored by law. Should you have more than $10 000… this must be declared”. These three passengers transported over 900 times the limit… it does not take a prophet to guess that they did not attempt to declare same. Was this cash movement, now deemed illegal by South Africa law, truly in favor of the Nigeria government? A known Nigerian newspaper details its findings from a ‘top intelligence official’ as follows “The security chiefs took time to explain that urgent security issues warranted the direct purchase of the arms”. There we have it. A government at the peak of the rollout of a cashless initiative, decides to procure arms via the movement of raw cash to the point of contravening the laws of another country. Fail! As if that were not embarrassing enough, worse still is the report that the security chiefs had to take time to explain to the President why this line of action was undertaken. For a country whose President is also named the Commander-in-chief of the armed forces, it is shocking that such a decision seems to have been taken with urgent action implemented, oblivious to the C-in-C. Fail! Where was the Central Bank of Nigeria (CBN) through this process? What happened to wire transfers? Where was the cash withdrawn? The CBN? Or from wardrobes in a house as typified by one-time Governor of Delta State? It is clear that there was no plan for transparency and financial accountability in the execution of this transaction, rather an obvious attempt to avert process and procedure to the point of illegality. The entirety of the story is clandestine. There is also the issue around the ownership of the private jet involved. It is owned by a firm, Eagle Air Company, in which Pastor Ayo Oritsejafor has vested interest. Pastor Ayo is currently the president of Christian Association of Nigeria. However, the company has issued a statement indicating that the aircraft was leased commercially by a certain John Ishyaku for a Lagos – Johannesburg – Lagos flight. Was Eagle Air and/or Pastor Ayo aware of the purpose for which the aircraft was hired or not? Are there any guiding regulations by the NCAA requiring full disclosure of intent for aircraft hire? Is there a valid case of aiding and abetting or rather pure happenstance? In the country which we live in, the default mindset on such occurrences is that there is some form of collusion, no matter how passive it may be. It is pretty much a form of guilty until proven innocent. There is hardly any reason to alter this paradigm as yet. As usual, the country expects to hear that investigations are underway… but until one case of corruption is seen to completion, with the guilty charged and punished, the hope for justice remains just that, hope! Here again, we are confronted with a leadership gaffe. True leadership ensures that urgent decisions with far reaching impacts, are taken at upper echelons, with full alignment of stakeholders and at least due notification to other affected parties. Actions are implemented in conformance with laid down guiding principles. Processes are put in place for efficient execution. For example, a procedure exists for transacting urgent huge sums of forex to foreign recipients, in favor of government purchase. Someone, somewhere in the chain of command, breached management procedure or as it is popularly dubbed, due process, and has plunged the country into an embarrassing scandal. In the final analysis, the only thing to worry about is whether strong action will be taken against this leadership blunder. Yay or nay? Do the nays have it? I greet and felicitate with you all, today, as we mark 15 years of uninterrupted democratic governance in our beloved country. Although I have ordered a low-key commemoration of this year’s Democracy Day in deference to the current mood of the nation, there can be no doubt that the past 15 years, the longest period of sustained democratic governance in our country, have been a blessing to us, as a people. As we commemorate 15 years of our Fourth Republic today therefore, I believe that it is fitting that we pay tribute once again to all those who played a part in restoring our nation to the true path of democratic governance, built on the foundations of rule of law and freedom of expression. As a result of our collective efforts since 1999, democratic governance is now entrenched in our nation and institutions. I wholeheartedly believe that our people are the better for it. The scope of fundamental rights and liberties enjoyed by our people over the past 15 years has been expanded beyond measure. On my watch, we have witnessed high national economic growth rates, steady improvements and expansion of national infrastructure including airports and roads, the restoration of rail transportation, the efficient implementation of a roadmap for improved power supply, a revolutionary approach to agricultural production, as well as advances in education, sports, youth development, healthcare delivery, housing, water supply and other social services. In the oil and gas sector, our promotion of a sustainable local content policy, continues to guarantee equity and better opportunities for Nigerian entrepreneurs and skilled personnel. Significant increase in mobile telephone and national broadband penetration, making Information and Communications Technology (ICT) one of the fastest growing sectors of the Nigerian economy. We have also developed strong financial markets and regulatory institutions. Our banks now have regional and global footprints. Nigeria has also gained recognition as the largest economy in Africa, the most preferred investment destination in the continent and in terms of returns on investment, the fourth in the world. We are pleased that the world has noticed, as global leaders converged in Abuja early this month for the World Economic Forum in Africa. The event not only witnessed a record attendance, it brought the prospect of an additional flow of investment into the Nigerian economy estimated at over $68 billion over the next few years. In foreign relations, our country has equally done well within this period, by establishing and strengthening strong partnerships with all ECOWAS countries and the rest of the world. This has helped to deepen Nigeria’s leadership role in multilateral institutions including the United Nations. Furthermore, under this administration, we have made consistent progress in improving the standard of elections in our country to ensure that they are ever more credible and truly representative of the people’s free choice. The National Conference we initiated to deliberate and make recommendations on the best ways of resolving our current political and socio-economic challenges is on-going. It is our expectation that its outcomes will help to further consolidate the gains we have made from democracy in the past 15 years, and place our dear nation even more firmly on the path to greatness. It is a sad fact that as I address you today, all the gains of the past 15 years of democratic governance in our country are threatened by the presence of international terrorism on our shores. Our dear country, Nigeria is facing a new challenge. A war has been unleashed on us. Extremist foreign elements, collaborating with some of our misguided citizens, are focused on an attempt to bring down our country and the democracy and freedom we cherish and celebrate today. The despicable abduction of school girls from Chibok in Borno State has brought to the awareness of the entire world, the heartless brutality of these terrorists who want to instigate a descent into anarchy and balkanize our nation. In recent years, terrorist attacks have claimed the lives of several of our compatriots, many have been injured or maimed, whole villages and communities have been destroyed and the economy of some of our states is in jeopardy. There can be no doubt that what we are witnessing in Nigeria today is a manifestation of the same warped and ferocious world view that brought down the Twin Towers in New York, killed innocent persons in Boston and led to the murder of defenceless people in the Southern Russian city of Volgograd. Terrorist activities have brought war and pains to Mali, Somalia, Yemen, Syria, Afghanistan and Pakistan. These agents of evil continue to brainwash and incite ignorant young men and women to attack the innocent. We cannot allow this to continue. I welcome the statements of solidarity from patriotic citizens and the global community in support of our efforts to stamp out terrorism. I applaud the understanding that in a democracy, such as we are building, people can have differences while sharing worthy values and standing together in opposition to the scourge of terrorism. Nigeria is the only country we have and we must all work to preserve it for present and future generations. Despite the challenges we face, we must commend our security forces. We must not forget their gallantry and successes in liberating nations and in peacekeeping, from Liberia to Sierra Leone, Congo, Sudan, Mali, Guinea-Bissau and many places in Africa and beyond. Our forces have paid the supreme price in several places at several times. Today, they face a different challenge, an unconventional war by terrorists. They are adjusting and are being equipped to tackle the new menace of terrorism. We must show confidence in their ability. I have no doubt that, with the support of Nigerians, our neighbours and the international community, we will reinforce our defence, free our girls and rid Nigeria of terrorists. It is now 45 days since the horrifying abduction of the college girls of Chibok. I share the deep pain and anxiety of their parents and guardians and I assure them once again that government will continue to do everything possible to bring our daughters home. I am determined to protect our democracy, our national unity and our political stability, by waging a total war against terrorism. The unity and stability of our country, and the protection of lives and property are non-negotiable. I have instructed our security forces to launch a full-scale operation to put an end to the impunity of terrorists on our soil. I have also authorized the security forces to use any means necessary under the law to ensure that this is done. I assure you that Nigeria will be safe again, and that these thugs will be driven away – it will not happen overnight, but we will spare no effort to achieve this goal. For our citizens who have joined hands with Al Qaeda and international terrorists in the misguided belief that violence can possibly solve their problems, our doors remain open to them for dialogue and reconciliation, if they renounce terrorism and embrace peace. My government, while pursuing security measures, will explore all options, including readiness to accept unconditional renunciation of violence by insurgents, and to ensure their de-radicalization, rehabilitation and re-integration into the broader society. We must remain united to win the war against terrorism. Christians, Moslems, farmers, fishermen, herdsmen, teachers, lawyers, clergy or clerics, the rich, the poor and Nigerians from all sections of the country must work together with our security agencies and armed forces to overcome the terrorists who now threaten all that we hold dear. The war against terror may be difficult, but the days of peace will come again. Terror is evil; nowhere in history has evil endured forever. The menace of Boko Haram will surely come to an end. I believe that because of your prayers, your courage, hardwork, faith and sacrifice, we will ultimately prevail over the terrorists and all other evil forces. We are a strong, resilient and courageous people. We will continue to partner with the civilized world, to confront international terrorism and every other challenge that comes our way with patriotic zeal and determination. Yes, we have challenges but we will surely overcome. Nigeria is our country. Nigeria is blessed. We will all collectively protect, defend and develop this country for ourselves, and our children. In the early hours of Saturday, March 15, 2014, thousands of job applicants made their way to 37 test centers nationwide as directed by the Nigeria Immigration Service (NIS). The test centers comprised trade fair complexes, football stadia, high schools and tertiary institutions. Applicants were further instructed to come along with the following – acknowledgement slip, means of identification, writing materials and clothing suitable for physical exercise. Matter of fact, the recruitment exercise did not start here. September 2013, the NIS published a notification for general recruitment. Applications were solicited from suitably qualified candidates (SSCE, NCE, ND, HND, BSc, PhD holders). The outlined process required interested applicants purchasing an ‘Access Code’ for a sum of one thousand naira (or more… the jury is still out on how much was required) via designated bank(s). This code was then to be used to complete an online application. Candidates who completed this successfully got an acknowledgement slip issued to them. As expected, in November 2013, there was public outcry against this application fee charged to interested candidates. In response to this, the Minister of Interior, Mr. Abba Moro, explained that the one thousand naira fee “is the charge by the consulting firm to defray cost of accessing the website to fill forms. This is also intended to save the applicants the cost of travelling to Abuja to submit their application forms, as well as avoid other inherent risks, including unauthorized middlemen activities and other abuses”. Furthermore, personnel in the same Ministry expressed reservations about this levy citing that a potential six billion naira would be generated from an estimated six million candidates. Was this a recruitment drive or revenue generation gimmick? Did the NIS not include recruitment in its plan and budget for this financial year? How was this to be funded originally? Where in the world do employers charge job applicants as little as a dime? Nigeria’s unemployment rate is put at 23.9% (2012), on the increasing trend over the past couple of years. Too many Nigerians are unemployed. They are available and able to work but a quarter of the labor force is out there seeking employment on a daily basis. It therefore is a no brainer that the response to an NIS job vacancy advert would be in the thousands. People are looking for jobs, and for a country where government is perceived to be the biggest employer of labor, the quickest means to inexplicable wealth, and the leapfrog catalyst from grass to grace, it is only normal to expect such a massive response to a government job vacancy. While there is no confirmed official count of how many attended the purported NIS job test, informal reports have it that football stadia in Lagos, Ibadan and Abuja were appreciably filled to the higher tens of thousands. When a thirsty man hears there’s water around the corner, he will expedite his steps in that direction. It is likely the NIS and its consulting firm anticipated this massive turnout, influencing the choice of test center types, predominantly stadia. What kind of recruitment test is conducted at a football stadium anyway? What was the plan to structure the seating arrangement for candidates? Was the personnel supervision requirement for this large expanse even considered? There was going to be a written test as applicants were asked to come with writing materials. Are there desks or writing pads in a typical Nigerian football stadium? How were applicants supposed to write? How would they have prevented examination malpractice in such a large and porous venue? Applicants were also asked to come with suitable clothes for physical exercise. Was this to be conducted at the same venue, in the same duration as a written test? What manner of thought process failure seems to be demonstrating itself thus? Was there no option to conduct the test first in batches, and then in phases with the physical examination/exercise/fitness phase done on a subsequent date? The Joint Admissions and Matriculation Board (JAMB) exam is held annually in Nigeria, with well over a million candidates. Recently, JAMB announced the designation of 256 centers planned for the 2014 exam. Why couldn’t the NIS synergize its job test planning with such tested formats? What consulting firm was hired for this recruitment drive? Was there no plan to shortlist candidates from online applications as a crowd control measure? Furthermore, candidates were requested to be at the venue by 7am. Access to the venues was definitely a challenge with the massive turnout and ill-prepared personnel. There are reports of candidates having to jump fences to get into the stadium. By the rule of convergence, when you have a large volume of substance approaching a narrow flow point, there is bound to be pressure build up. This principle is evident in traffic jams all over the country – 4 lanes reducing to 2, a jam results. Similarly, a few venue gates (say 8 hypothetically) serving a crowd of 20,000 people results in 2,500 people attempting to rush through 1 gate. This failure to plan and anticipate unknowns became a carefully orchestrated set up for a stampede. People desperate to get in, eyes on the prize – that government job with supposedly limitless opportunity, too few access points, more people trying to get in, impatience, fear, uncertainty, confusion, pushing, nudging, prodding … a breakdown of order. Unfortunately, there were casualties. It is feared that there were as many as 7 fatalities in Abuja alone. Nigerians who left home in the morning, in pursuit of a job, ended up in the morgue. They came to the NIS for jobs, but got death in exchange. God rest their souls. There are not too many words fit to describe this sham of an exercise than failure – Failure to outsource aright; Failure to leverage and synergize; Failure to protect; Failure to solve; Failure to execute; Failure to deliver! What a mess indeed. A peculiar mess. A national embarrassment. Over the last few weeks, Nigerians have again been faced with an age old occurrence, commonly dubbed fuel scarcity. This is a national phenomenon that has recurred over and again. There are numerous and quite memorable accounts of people taking turns to spend days and nights at petrol stations, on endless queues, in the attempt to buy fuel for use. Many have honed additional driving skills learning to maneuver their cars into the smallest available spaces, outsmarting sleeping drivers, all in a bid to buy tens of liters of premium motor spirit, petrol. It is appalling, having this particular problem persist over the years, same manner, similar process, typical triggers, without a true solution. Daily national demand for PMS continues to be an educated guess and has consistently ranged between 35 – 40 million liters in the recent past. In basic economics, scarcity arises from a limited availability or supply of resources compared with the attendant demand for the same. So what suddenly truncated national PMS supply? For a country whose citizens depend squarely on petrol (Premium Motor Spirit) as fuel to power their vehicles and household generators, why is the supply chain periodically challenged? It will be odd to hear a crop farmer complain of hunger when his harvest is obviously full, except his produce is being constantly pilfered under his very eyes, or the infrastructure required to process the crops into valuable food is unavailable, dilapidated or out dated. However, this is a clear picture of the national situation. Sitting on such massive hydrocarbon reserves, we have been unable to effectively operate and manage the infrastructure to harness value accordingly. The four refineries with a total refining capacity of 445,000bpd operated at an average capacity utilization of approx. 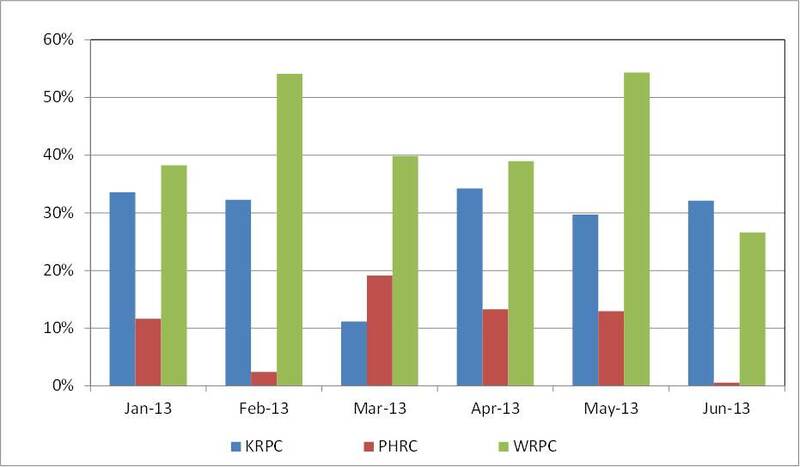 28% YTD Oct 2013 – processing 124,600bpd of crude able to yield approx. 10 million liters PMS/day. Comparing this local supply to the anticipated demand of 40m liters, there is a significant volume left to supply. Where an organic solution to production fails, an inorganic intervention may suffice. As such, the nation constantly needs to import the shortfall of products to satisfy demand. When importation is impaired, delayed or truncated for the slightest reason, scarcity results. According to the head of NUPENG’s tanker drivers, “importers got their permits for the first quarter only last week and this has created a shortfall in supply“. Why should import permits for 1Q14 be issued at the end of February, when two-thirds of the quarter is already gone? Consequently, fuel depots across the country have been emptying on the go, and most ran out of product supplies by mid-February, according to the union head. As at January, the Petroleum Products Pricing Regulatory Agency (PPPRA) had shortlisted 32 marketing companies for importing petroleum products including NNPC (with the highest import allocation) and other major marketers. Yet, there is a shortfall supply spanning February to March. What kind of planning results in this? Who is responsible to issue import permits? Were import permits really delayed? Why were they delayed? What happened to the principles of demand forecasting and fulfillment? Is there some unseen angle to the story? The solution to this scarcity is not seen in the reactive measure of inspecting petrol stations to apprehend those selling above the stipulated pump price. Such opportunistic behavior is only typical of the market, where price goes up in the face of rising demand and dwindling supply, with businesses attempting to maximize an economic rent while they can. The root cause is a supply side issue. Cause and effect – Eliminate the cause, eradicate the effect. Supply! Supply! Supply! Again, one of the core concepts of change management within any industry is communication and involvement. In the execution of projects and/or daily operations, changes are bound to occur to typical routine processes, whether anticipated or not. What makes the difference for the manager or leader is the ability, skill and will to proactively communicate change effectively to the workforce and affected stakeholders, keeping them abreast of the what, the why, the how and when of changes. Sometimes, our government agencies need to take a cue from this. Be upfront about situations irrespective of causes. Is it such an arduous task to make an unambiguous statement on national news, clearly keeping the nation abreast of when and why there is fuel scarcity, what exactly the mitigation interventions are in the short term, and what the long term solutions to prevent its further recurrence are? Unfortunately, this is a country where information asymmetry is pretty much the norm. Is the leadership of the nation pleased to have its workforce wake up early Monday morning, with worries of how to get fuel to drive to work instead of applying same ‘gray matter’ to develop breakthrough ideas that can foster economic growth? Will we grow our GDP (leave rebasing aside for a bit) when majority of the labor force spends most of their productive time running up and about town searching for petrol stations selling fuel? Or commuters stranded at bus stops for hours because even the commercial transport system is paralyzed due to the same situation? Or researchers and technocrats spending their time at fuel queues when they should be churning out solutions and formulating policies? Someone, somewhere, needs to fix this recurring issue once and for all! Yet, given the foregoing, one wonders when import permits for the second quarter will be granted! Scarcity continua? 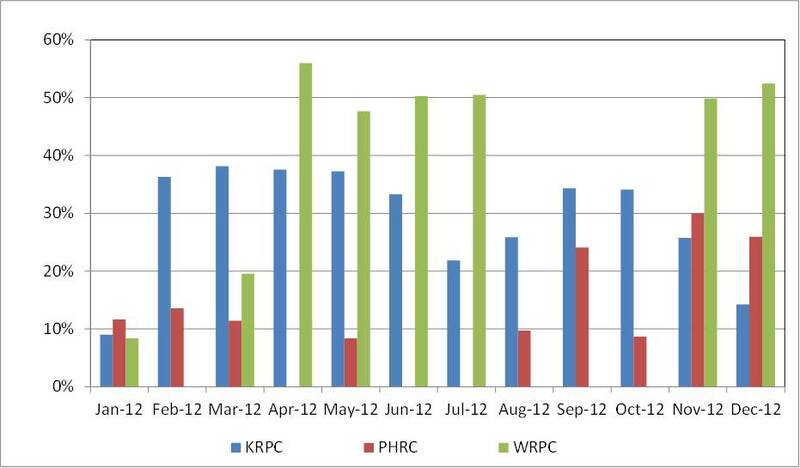 An overview of national refineries performance through 2012. Nigeria’s nascent democracy, as commonly though inappropriately described, has been laden with several opacities and ambiguities through its 14 years of existence. Apart from the deep mysteries of how fuel subsidy is estimated and paid, how much the Federal Government is worth and whether the country is actually ‘broke’ or not, one major uncertainty has been around remuneration for Federal Legislators. 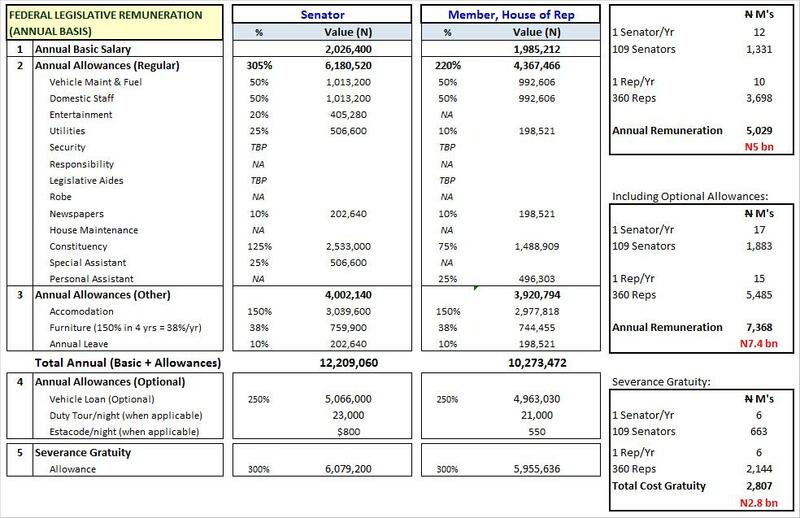 Simply put, how much are Nigerian Senators and Representatives paid? The economic concept of money provides the understanding that it is what buyers/sellers give in exchange for goods and services. As such, money is exchanged for value! Where value is perceived to be of high levels, a commensurate measure of money is expected to be exchanged for same. So, prior to debating the issue of transparency around legislative remuneration, it must be ascertained that the office of a federal senator and/or representative provides value to the extent that money may be given in exchange for it at the end of a fiscal month/year. There are 109 senators and 360 representatives duly elected/selected to serve the people of Nigeria. These legislators were elected or re-elected in 2011 and have served for at least 2 years to date. What has been their value to the people they represent? What has each senator and/or rep done to make life better for the citizens and areas they represent? What they say in response to this is one thing, and what the people confirm to be true is another. How much value have they added to the Nigerian experience? This concept of value is paramount and must be deciphered before proceeding to question the level of remuneration being given. There are quite a number of exquisite recreation facilities in the country where fun lovers go to spend weekends and holidays. These places and facilities may cost a fortune but more often than not, a common phrase is used to justify the cost incurred – “it was value for money”. Perhaps if we are able to qualitatively and quantitatively describe the value added by our legislators, the issue of money paid will take a back seat? In 2009, the Revenue Mobilization Allocation and Fiscal Commission (RMAFC) concluded a decent effort to review, define and ultimately educate the public on exactly how much is due/had been paid to federal legislators. The report titled “Remuneration Package for Political, Public & Judiciary Office Holders: Feb 2007 – Jun 2009”, was a follow-up to the initial 2007 review, determination and recommendation of remuneration due to the legislative, judiciary and executive. Their recommendations were signed into law and adopted in 2008. According to the Table II (D) of the 2009 report, the annual basic salary (ABS) for a Federal Senator was/is expected to be about N2.03 million (approx.). This figure applies to the Senate Majority and Minority leaders, Chief Whip and Committee Chairmen. ABS for the Senate President and Deputy is a bit higher valued at N2.48 and N2.30 million respectively. ABS of N1.98 million was valued and recommended for House Representatives, their Majority and Minority leaders, Chief Whip and Committee Chairman. The Speaker and Deputy have their ABS pegged at N2.47 and N2.28 million respectively. Computing an estimate of the total remuneration burden for 109 senators and 360 reps (assuming N2.03m for all senators, N1.98m for all reps), including regular and non-regular allowances specified in the report, yields a figure of N5 billion/year. Including the cost of ‘Optional Allowances’ (Vehicle Loan) for all legislators yields N7 billion/year. Adding on the burden of paying Gratuity at the end of service, an additional N2.8 billion is included (300% ABS for 4 years, approx. N0.7 billion/year), yielding a total annual burden of N7.7 billion. This total excludes the cost of Duty Tours and Estacode/Per Diem which are paid as applicable. Also, the much touted Security allowance was conveniently stated as ‘TBP’ – To Be Provided. No value was assigned to it in the report. These are the 2009 remuneration recommendations. Now, the whole country probably wonders, what is the 2013 remuneration reality? Is there a clear distinction between how much is due/recommended/was being paid (2009), and how much is actually paid currently (2013)? From the 2009 report, a Senator earns N17 million/year while a Rep earns N15 million/year (including Vehicle Loan). However, in 2013, there is a general perception that Federal Legislators earn far more than recommended. It is believed that a Senator takes home anything between N180 – N400 million/year while the Rep goes with about N130 – N300 million/year. These 2013 perceptions are said to be inclusive of basic salary and allowances. With 109 senators and 360 reps, the burden per these figures comes to about N66 – 150 billion/year. It is unfortunate that no effort has been made to clarify and validate these 2013 figures. As such, barely 4 years after a little light shone on our path via the 2009 remuneration review, the opacity in governance has reinstated itself. Darkness, indeed, gross darkness covers the face of such matters. The RMAFC website still holds only the 2009 report. Will they wait for another letter from Mr. President before conducting another review? Is this remuneration review conducted periodically or at random based on executive fiat? Will President Jonathan follow the steps of his predecessor Umaru Musa Yar’Adua to demystify this ambiguity? One easy clarification –there are a couple of legislators’ special assistants and personal assistants who are prominent and respected on social media today. We should find out if their annual remuneration is N506,600 (N42,000/month approx.) for those working with Senators or N496,303 (N41k/month approx..) for those working with Reps according to the 2009 report. Doubtful? Unbelievable? Many more questions therefore remain: How much remuneration is really being paid to our Federal Senators and Representatives? What does it cost the average tax payer to keep 109 Senators and 360 Reps in the National Assembly? What value is being felt at the grassroots owing to their Senator/Rep? Is there value for money? So much opacity… let the light shine! Newton’s third law of motion – “for every action, there is an equal and opposite reaction”. Indeed, history is replete with evidence to this, even in governance and politics. There exists an ‘Opposition’ (or some form of such) to every party/government in power. First of all, let’s get operational definitions out of the way. The opposition in Nigeria has so far loosely referenced any persons or group with public demonstration of antagonism towards the incumbent government. Every major political party that loses at the ballot box automatically assumes the ‘Opposition’ status. At the federal level, the Nigerian ‘Opposition’ is predominantly the Action Congress of Nigeria (ACN), Congress for Progressive Change (CPC) and All Nigeria People’s Party (ANPP), now merged into the All Progressives Congress (APC). On the regional front, the PDP (yes, the People’s Democratic Party) has also assumed the ‘Opposition’ title primarily in the South West. Is this all there is to what the Opposition should be? A bunch of losers and antagonistic entities? Certainly not. Merriam-Webster defines the Opposition simply as “a political party opposing (fighting back) and prepared to replace the party in power”. Asides formal definitions, the typical expectation is that the Opposition keeps the serving government ‘in check’ consistently, in terms of policy formulation and implementation, rendering themselves as auditors of governance, critiquing failures, applauding successes. The Opposition is not a passive inheritance or title, rather a proactive stance, a positive offensive. It should be a body of people with an ideology, common principles of governance and politics, who are willing and determined to bring these to the fore, demonstrating a leadership example to the serving government. Yet, more often than not, what we see is a resultant, reactive Opposition that emerges just because they lost elections. This is not rocket science. In business, rivals exist because there is a market to rule, a prize to win. Similarly, a resultant, reactive Opposition arises primarily because there are resources to fight for – human, natural and financial resources! The scramble for these resources creates a winner (the serving government) and the jostlers (the emergent, reactive Opposition). As long as the Opposition remains in this reactive mode, limiting itself to the mode of continuous criticism becoming a bother to the electorate, the chances of wresting power from the incumbent remain slim. Any business seeking to dominate the market must think and play ahead of the rival/competition. Similarly, the strategic Opposition must proactively get ahead of the incumbent. The strategic Opposition must move beyond reacting to policies and political decisions, to developing, implementing and publicizing progressive ideologies and initiatives – gradually instigating a paradigm shift in national politics by centralizing public sentiment around issues… the politics of ideology and principle. Likewise, the strategic Opposition must advance from identifying and flogging issues to proffering ground breaking solutions. These solutions must be intrinsic to the Opposition’s manifesto and sold to the public as their competitive edge. They must strategically demonstrate that where the rival has met a brick wall, they have identified a breakthrough point. Previously implemented projects and successful initiatives should be leveraged as pilots for nationwide development. There is no reason why the ‘Opon Imo’ educational tablet concept should not be aggressively leveraged as a nationwide developmental program, void of corruption and typical public procurement shenanigans. The strategic Opposition will fully conceptualize this initiative, presenting it as an educational enhancement bill to the National Assembly via their representatives and senators. The strategic Opposition must go where its rival will not. Embrace leapfrog technological innovations, create mobile tools to empower the common man, use technology to restore true governance to the people. For example, a simple mobile platform that allows ordinary people report common everyday issues from power failure, to bad roads, security breaches, illegal roadblocks, water shortage, fuel price hikes, pipeline vandalism etc. should be developed, incubated and implemented with periodic analytical reports generated and published in national dailies, including resolution recommendations. Initially, these periodic reports will serve as an Opposition driven counter- scorecard but subsequently will add value through suggested resolutions to identified issues. Such initiatives also strategically position the Opposition closer to the people, their needs, desires and behaviour. Where a business draws closer to its customers, understanding their behavioural patterns, what remains is the creation of appropriate products to meet these needs. Comparative advantage. The strategic Opposition should not battle the rival in its area of strength. The incumbent is a multi-regime veteran in money politics, with deep pockets and numerous treasure chests. Take the battle to the weak points, the Achilles heel….accountability in governance, budget implementation, project execution and controls, communication and involvement. While there remains no guarantee of winning elections where the recurrent practice of rigging is predominant, a need still exists for a true and credible Opposition, not a label or resultant, rather the strategic Opposition, a positively offensive force, gradually restoring hope to an expectant populace. The Presidential Pardon – A Goodluck Signal? Signalling is basically an indirect means of transferring information between two or more parties via available communication channels. The ‘agent’ transfers the message, while the ‘principal’ receives, analyzes and acts on it. A most common example in economics involves an individual seeking employment. The individual signals to the employer by constructing a resume replete with skills, expertise, competence and experience that will command attention and intrigue, influencing the employer to schedule an interview subsequently. Every day, individuals engage in varied forms of spoken and unspoken signals to pass across messages to others. Husbands signal to wives and vice-versa, subordinates to bosses, and leaders to followers. On the 12th of March, 2013, there were reports that the President and Commander-in-Chief of the Federal Republic of Nigeria, Goodluck Ebele Jonathan, requested approval from the Council of State to grant presidential pardon to a list of individuals, including former Governor of Bayelsa State, Diepreye Alamieyeseigha. Now, history has it that Mr. Alamieyeseigha was sworn-in as Governor on May 29, 1999, re-elected in 2003 for a second term, and impeached for corruption related charges on December 9, 2005. According to the BBC, he was initially apprehended in September 2005 as he travelled through London, and subsequently charged to a UK court for money laundering. London Metropolitan police actually found £1m in cash at his London home. He was granted bail in the UK having surrendered his passport. 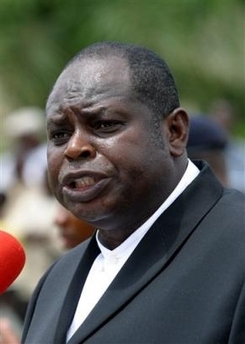 Nonetheless, Governor Alameiyeseigha surfaced quite mysteriously in Bayelsa in December 2005. He unfortunately could not recall details of his miraculous transit from London to Nigeria. Eventually, in 2007, he pleaded guilty to charges of money laundering and false declaration of assets at a Nigerian High Court, and was sentenced to 12 years in prison; 2 years each for the 6 charges, running concurrently, backdated to his first arrest 2 years earlier. Because of the backdating he ended up spending less than a day in prison. Such is the profile of one of the major purported recipients of the March 2013 presidential pardon. This development really shouldn’t surprise anyone as the president once referred to Alameiyeseigha as his political benefactor. Again, this is rational and understandable because Mr Jonathan served as Deputy Governor to Alameiyeseigha from 1999 to 2005, emerging as Governor after the latter’s impeachment. A benefactor is one who helps develop and bring up another, and as such, there is permissible reason to Jonathan’s description of the ex-governor. No surprise there. The real issue however is the message emanating from the Jonathan-led government. The agent has signalled the principal. The leader has acted, leaving the followers to hear, see and receive. The masquerade has danced, the village ponders. The gong has been beaten, the subjects mull over the sound. What exactly is this government saying to the people? A number of possibilities exist – one, it could be a simple gospel type message starting with “He who is without sin should cast the first stone”, and ending with the verdict “Alams, go and sin no more”. Two, maybe it’s the government’s way of demonstrating its Transformation Agenda… changing destinies, transforming ex-convicts. After all, amnesty is granted to militants as part of transformation. Old things have passed away and (by transformation) all things are new. Third, perhaps it’s an obvious signal that a Nigerian can assume an Executive role, commit economic and financial crimes, mysteriously jump bail, spend a day in prison, get released, and assume political relevance again – all it takes is time. Recall that Mr Bode George, who was indicted, convicted and sentenced to prison for fraud, got released in February 2011, to meet much pomp and celebration. What impressions are being created in the minds of the young generation? That fraud, theft, and economic crimes are frequently embraced by this regime? Or in simple terms, that you can do whatever you want, serve your time ‘creatively’, and emerge eventually as a celebrated personality? How do teachers in Primary and Secondary Schools teach their students not to steal? How do professors communicate the rudiments of ethical behaviour to their college students? How do you convince the average trader on the streets not to engage in undue opportunistic behaviour in a bid to achieve abnormal profit? How will religious folk, juxtapose the message of ‘sowing and reaping’ with vivid stories of transformed ‘ex-convicts’ around? What are the impacts of such signals on national values, if they still exist? It would help if there were a commensurate number of corruption cases fully investigated, charged and convicted by the same regime. We however struggle to cite any cogent cases. Little wonder the Opposition considers Jonathan’s government of lacking the capacity to tackle corruption. When people see dark clouds in the sky, it is only reasonable to assume that rain is about to fall. When the orchestra sees the conductor wave his baton, it is time to play. When the entertainer hears the rhythm and kick, it is time to dance. They are only reading the signals.